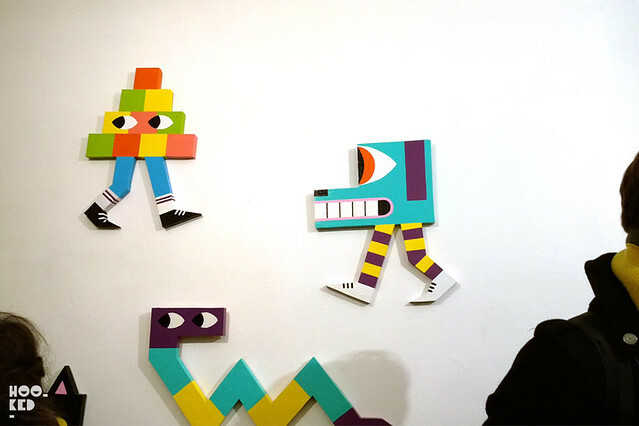 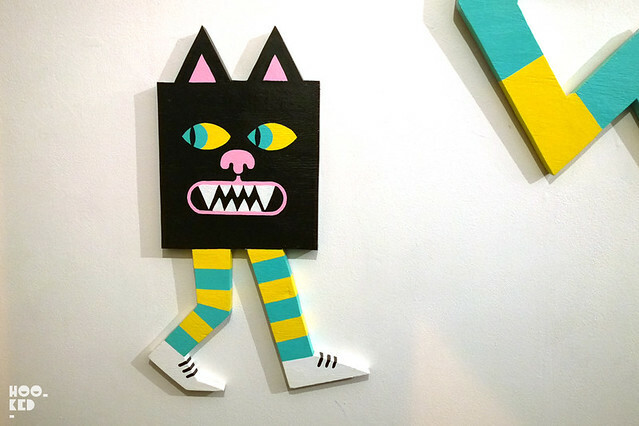 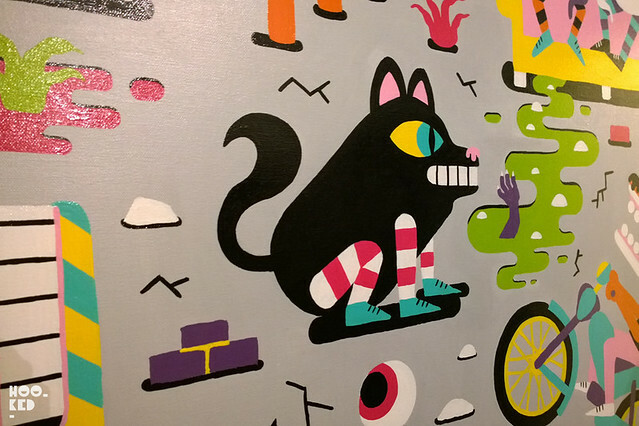 Last Wednesday (December 5th) saw the debut gallery solo exhibition of London-based graffiti/ street artist artist Malarky at Beach London on Cheshire Street. 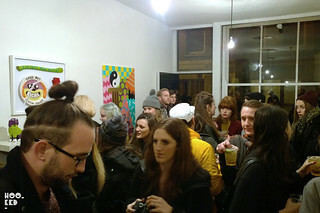 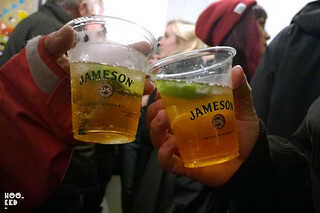 Hookedblog headed over to the East London gallery who hosted a packed out opening party for the artists new show named 'Puppy Snatcher'. 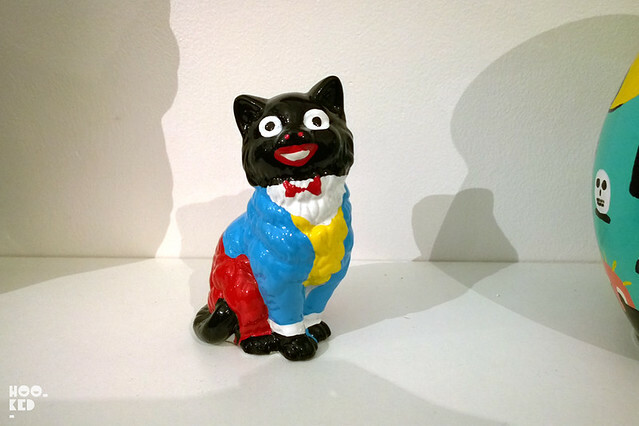 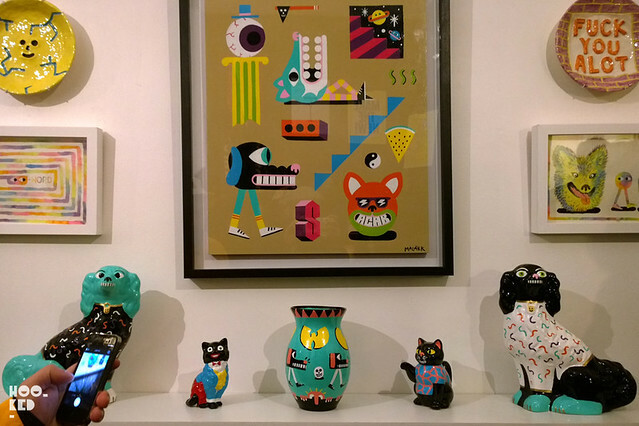 The exhibition featured Malarky’s own take on iconic ceramic pieces typical of the Stoke-On-Trent region where the artist has spent a large part of 2013 living and working. 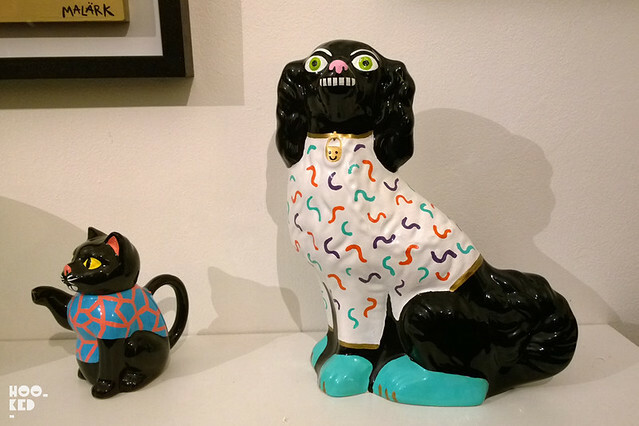 Malarky has applied his colour-soaked aesthetic to the city’s most infamous export - ceramics - creating his own versions of iconic pieces: hand-glazed plates, pottery, and… spaniels. 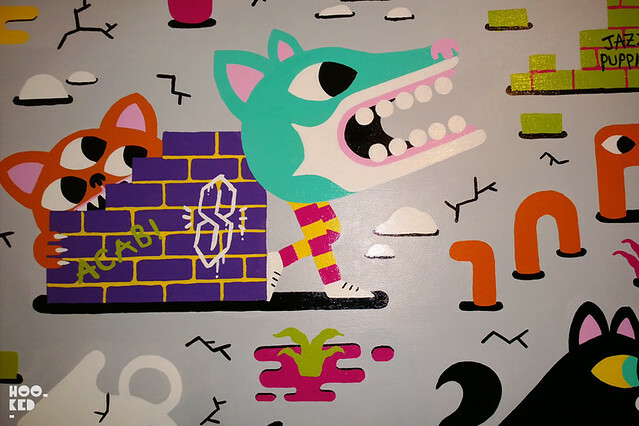 Alongside the three dimensional works the artist presented a number of new painting, drawings and woodcut pieces featuring familiar characters including the Malarky fox and other muti-eyed creatures we have become accustomed to seeing from the artist on walls and shutters across London. 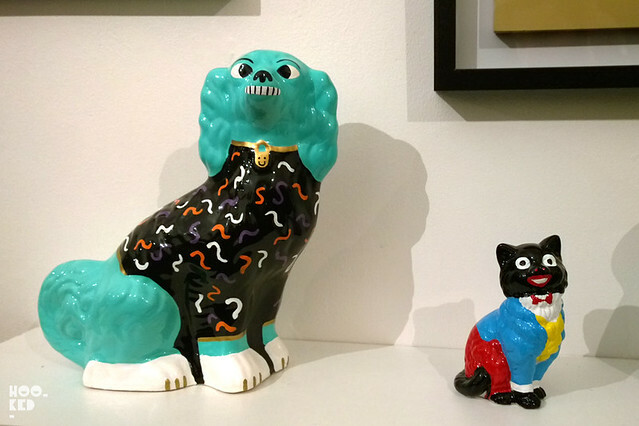 The Puppy Snatchers exhibition at Beach runs until February 2nd 2014, be sure to stop into the gallery to see the rest of the show.